Fundamental to our research is understanding individual elephants. Since 1995 our research team in Samburu National Reserve have photographed and identified over 900 individual elephants and now have intimate and detailed family histories of each family and bond group. Individual and family interactions vary throughout the seasons and groups can leave the reserve boundaries for months at a time. Learning where they are migrating to, and what resources they are seeking, is fundamental to understanding how we can protect elephants in a wide and complex national ecosystem. 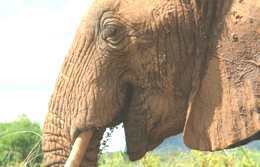 Understanding elephant movements is helped by the use of the latest technology to collar and track elephants remotely. We develop, test, and deploy a variety of tracking collars all capable of recording GPS positions of each individual elephant as they move across the landscape. More recently we have started to deploy sensitive 3-axle accelerometers to our collars to help us record micro-movements of each elephant on a finer scale than anything ever tried before on wild pachyderms. Our collars are physically complex, expensive and require huge data programming and upkeep to provide the quality of data that we are analysing presently. Over the years this tracking data has helped us to identify migration corridors, dominance hierarchy behaviour, dry/wet season feeding areas, poaching hotspots and specific human-elephant conflict (HEC) zones (please refer to Save the Elephants for more details). Identifying HEC hotspots has enabled us to focus our more grassroots program,The Elephants and Bees Project, on the worst affected communities who suffer from elephants crop-raiding their farms. The project applies the discovery that elephants will avoid bee sounds and hives (see publications) to develop a unique elephant deterrent system to keep elephants out of human habitat. The development and testing of a novel beehive fence is helping to deter elephants from entering farmland as well as providing honey and bee products to poor rural farmers. This type of innovative research is fundamental to our mission to find ways to help elephants and man co-exist better. Postdoctoral Research Assistant in Morphological Computation (for 1 yr) at Zoology, Oxford The main responsibilities of the position are: study web materials using the full range of available techniques e.g. laser vibrometry, high speed imaging, Finite Element Analysis; participate in the development of novel measurement and analytical techniques. "The Chinese hold the key to the elephants' future. If things continue the way they are, many countries could lose their elephants altogether."